I'm a movie bore. I like that my Bluray collection is stacked neatly and I've watched the 'making of' docs on disk 2 far more than the movie in itself. But more importantly, it is being a movie fan that led to me becoming a photographer. Composition, direction, editing styles, presentation standards, etc., they are all sources of huge inspiration for me, plus they are elements which make up a typical working day. I also embrace the fact they remind me of being a kid. It's a conduit to a happy, imaginative time - the rabbit hole back to the good ole days. Apart from Star Wars, the film that made the biggest impression on me as a child of the 1970's, was Jaws. Without seeing these 120 minute chunks of imagination when I was an impressionable little lad, I have no idea what I'd be doing now. So my latest 'cool stuff' suggestion is The Jaws Log, a riveting chronicle of the film which basically invented the summer blockbuster phenomenon. Written by the movie's co-writer, Carl Gottlieb, it's not only a fascinating look at this particular movie (and it's quite a tale, trust me), but also a wonderful insight into how a story travels from novel to screen. A truly enlightening read. And if you're of an enquiring mind, check out Jamie Benning's brilliant Filmumentaries collection, including Jaws - yet more 'cool stuff'. 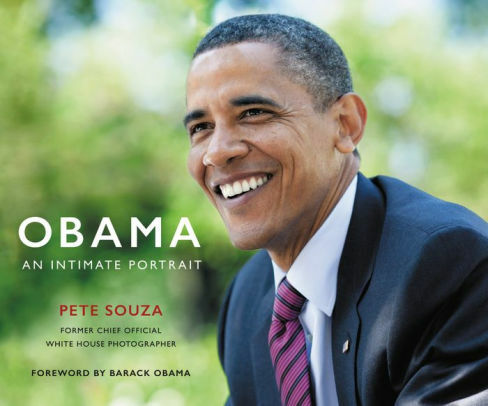 Must Read: Obama, an intimate Portrait... Stunning. "...I found myself lingering over certain images with the enthusiasm of a student, being fired-up to go out and do better..."
"... This is thoughtful, intelligent photography with real heft and presence..."
Oscar buzz is nearly at fever-pitch ahead of this weekend's Academy Awards. So this means I have another few days left to indulge my fascination with the medium. "Many books are described as "unputdownable", but this huge tome truly is something that once opened has you transfixed..."
"... One can only imagine the visceral excitement of the concept artists at Industrial Light & Magic when they pitched-up for work every day, tasked with creating the world on which JJ Abrams could base The Force Awakens..."
"Day after day it nails exactly what I want: plenty of tech news, intelligent op ed pieces and the tendancy to stop short of self-serving wit and sarcasm, unlike most columnists in the UK..."
"A movie centering around the whole murky sub-prime mortgage, over-leveraged period of US financial history - the screen is packed with great performances..."
"As a proud child of the seventies, this December can't come fast enough. Because when Star Wars: The Force Awakens hits cinemas, my mind will hyperspace back to being six..."